With Halloween just around the corner, we are excited to announce our Halloween Holiday Match campaign to raise donations to benefit families at St. Jude Children’s Research Hospital®, who, every day, face real-life monsters – childhood cancer and other life-threatening diseases. From October 28 - 31, diners will be able to make a tax-deductible donation to St. Jude and Las Palmas will match each donation, up to $5. These donations help ensure families never receive a bill from St. Jude for treatment, travel, housing or food because all a family should worry about is helping their child live. 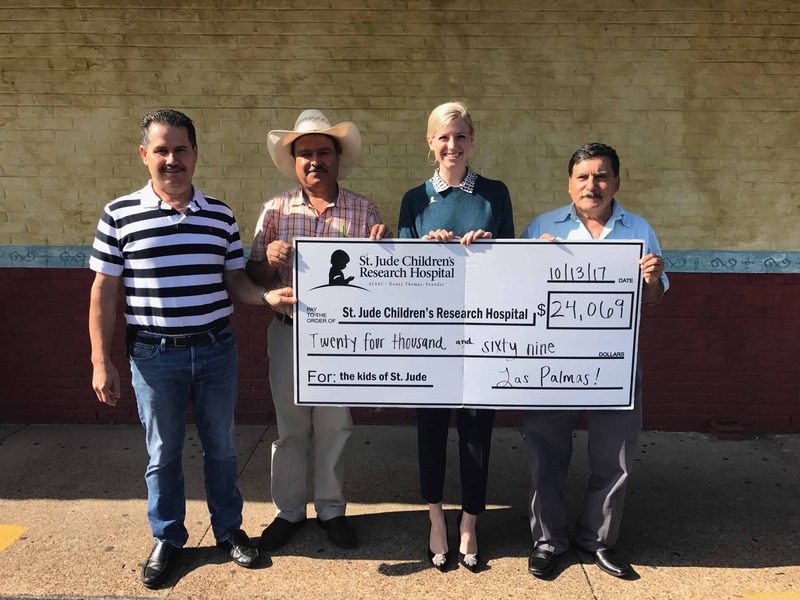 Las Palmas Mexican Restaurant began partnering with St. Jude in 2016 and have raised over $24,000. Our ongoing promotion is the donation of $1 for every Kids’ Quesadilla Meal sold.